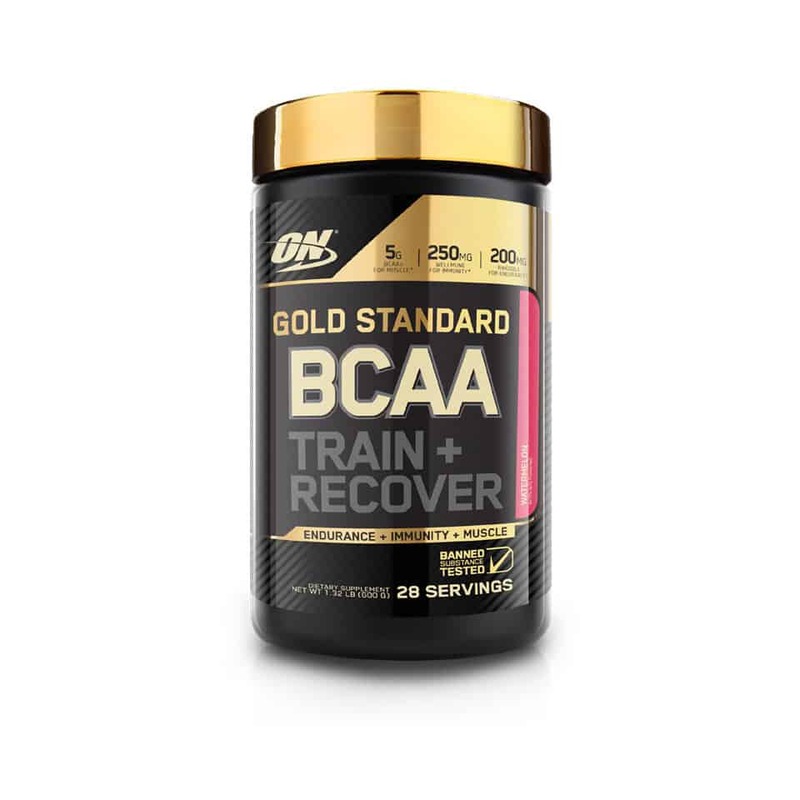 The Optimum Nutrition Gold Standard BCAA is built on a foundation of Branched Chain Amino Acids designed to spare muscle during endurance training and help kick-start the muscle building process after weight your training. 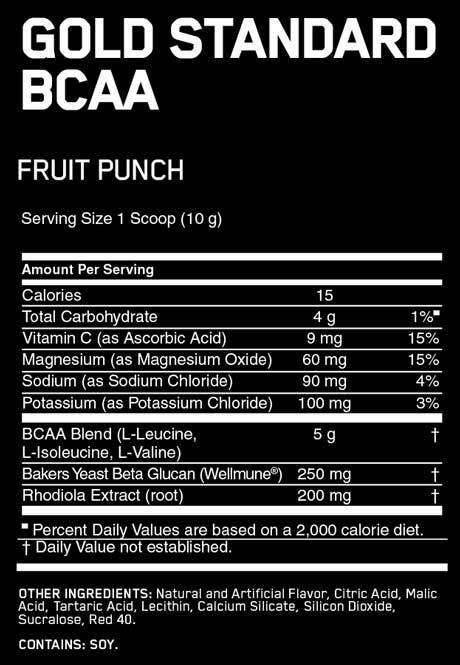 The Optimum Nutrition BCAA also includes electrolytes, vitamin C and other performance supporting ingredients in a lightly flavoured mix you will love during your training sessions. You have two tasty flavours to choose from. Click the drop-down menu below to make your selection. Optimum Nutrition Gold Standard BCAA, the latest addition to the Optimum Nutrition Gold Standard range, has finally hit the shelves. Not only containing the BCAA’s for protein synthesis and muscle growth, Gold Standard BCAA also contains electrolytes which are important for hydration and correct muscle function. Anyone who trains hard knows the immune system can take a battering with high-intensity workouts. 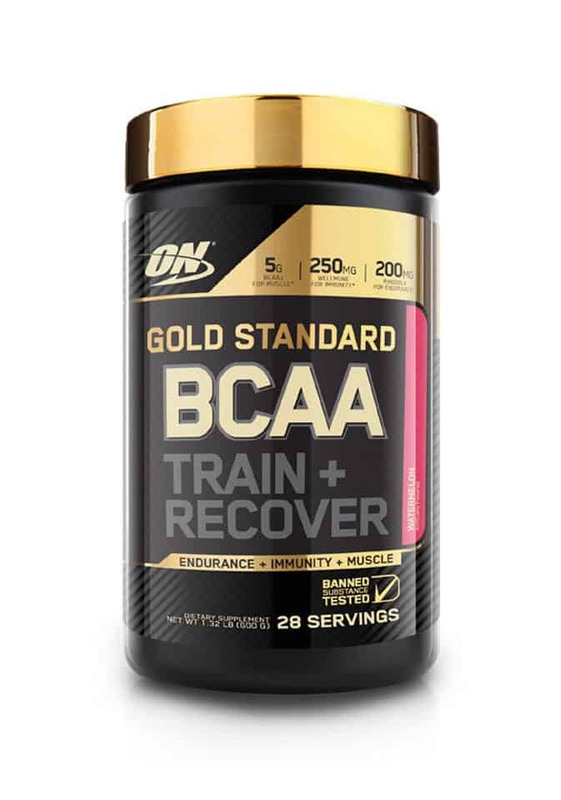 Optimum Nutrition Gold Standard BCAA contains Wellmune WPG to support immune system health and to ensure you can keep training at the highest capacity. To Train Harder & Recover Better you need Optimum Nutrition Gold Standard BCAA! The good news is you no longer have to fear leg day. You know how you used to dread leg day due to DOMS (Delayed Onset Muscle Soreness)? 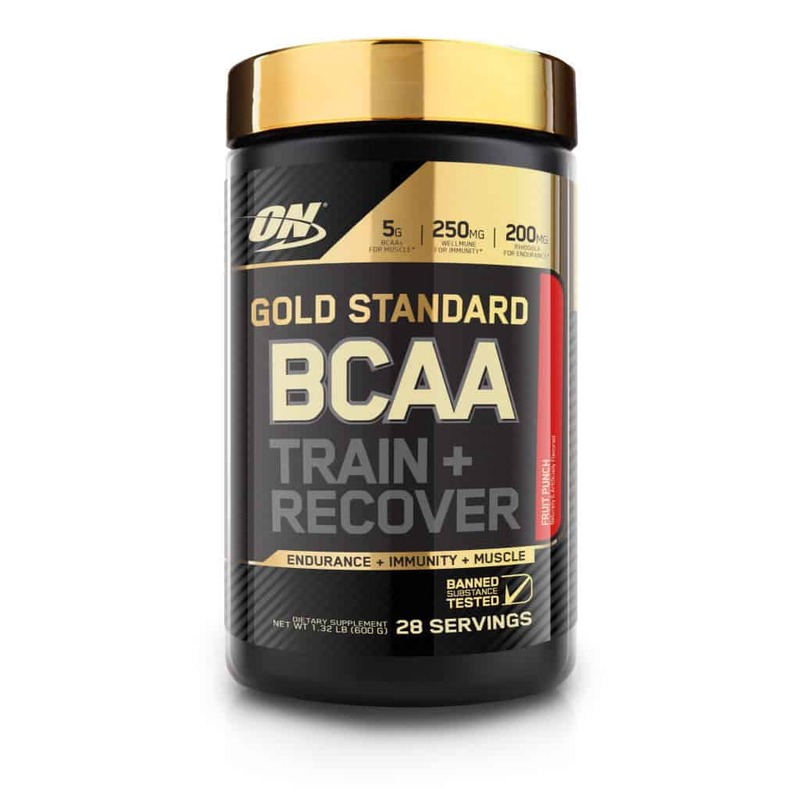 With the Optimum Nutrition Gold Standard BCAA, you will be able to up your leg day intensity, knowing this powerful supplement is there to help you recover, fast. Also, many supplements are formulated to give people the jitters, but not this one. While the formula is there to help you maximise your workout intensity, it isn’t packed with caffeine. This is one supplement you must try. Then, watch your recovery times go down and your ability to get back to the gym shorten.